A look at the new LV324 standard, why it’s here, and what it will accomplish. A new standard is here! I can hear a collective groan, but I suggest we quiet down and see what this new direction has to offer. When Audi AG, BMW AG, Daimler AG, Porsche AG, and Volkswagen AG get together to work up a document, there is a shift happening. Although this standard is not out-of-the-oven-fresh, it will mean a change in the industry in the near future. But before I continue, I want to backtrack to establish the background story first. There are two types of automotive companies, the ones that buy components and the ones that make their components. The ones that make their components can tailor them like an Italian suit; the others have to use verification to qualify a new component. Both methods have their advantages and disadvantages, but in the end, it leads to the same result: reliable, application-driven components, and tests. The automotive industry has extremely high reliability standards – perhaps because a car is the most complex consumer good on the planet (sorry smartphone). When something fails, safety is at risk, but at the same time, the industry needs to maintain a sleek interface, performance, and feeling. Lastly, it is also a status symbol. With the birth of eCars also came the realization that components age differently and are more susceptible to high temperatures or extremes. When semiconductors begin to age (mainly because of the stress of temperature changes), the die-attach also deteriorates, causing the device to subsequently get even hotter. In the world of physics, this would be managed by decreasing the power going into the system, cooling it further, or just shutting it off until it reaches a more manageable temperature. Well, solutions like this might be bad news for your new Porsche that should be able to drive 150 mph, but only goes up to a speedy 85 mph because it was decided to trade longevity for performance. Not possible. Heating the device differently exerts a different stress on the system – heating it for 1 second vs. 1 minute, for example (Figure 1). 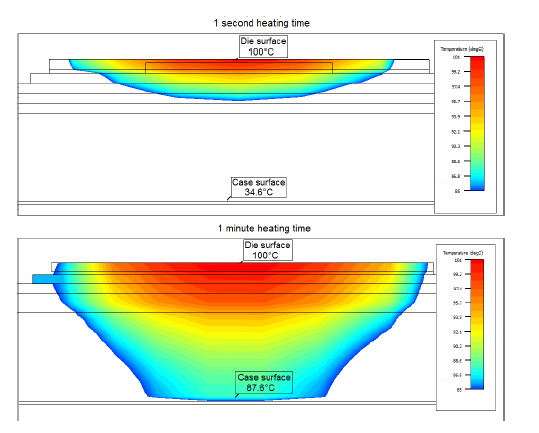 Figure 1: The stress differentiation between 1 second and 1 minute of heating. This not only applies to the heating time, but also how the device is heated. As control methods, constant current, constant power, or constant temperature change is a viable option (Figure 2). However, constant current is the only option that would allow your Porsche to continue driving at 150 mph. Figure 2: Different methods to control heat: constant current (blue), constant power (red), constant temperature change (green). 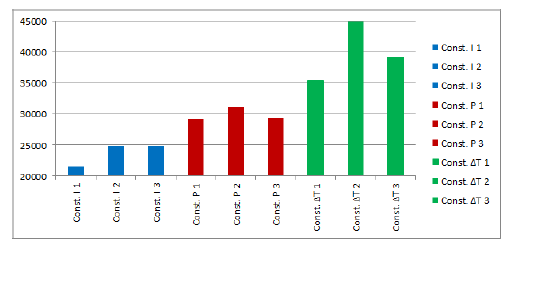 Clearly from the dataset in Figure 2, there is a clear difference between the different control strategies. So which one is your supplier using? Is the cycle lifetime of 1,000,000 true? Under which circumstances was this achieved? Is the constant current only 10% of the maximum allowable current or 95%? Is the ΔT = 10 °C or 125 °C? Is the sample size statistically viable? This and many more questions were what the automotive industry was asking when implementing components. This is where the LV 324 comes in—to answer all those questions. If you make components, you will most likely have to adhere to this standard to satisfy the AUDIs, BMWs, and VWs makers. A joint team addressing power electronics—comprised of people from the German electrical industry association ZVEI (Zentralverband Elektrotechnik- und Elektronikindustrie e.V.) and the European Center for Power Electronics e.V. (EPCE), in collaboration with OEMs—has finalized the first release of the LV 324. This is the first-ever regulation to provide a clear technical reference for those producing power electronics in the automotive supply chain (see page 20 of the recent ZVEI Progress Report for the Automotive Application Group). So this is where it gets interesting. We are a global society, and as capitalism operates, companies like to sell to more than one other company. Given that European car manufacturers can buy from Asia and vice versa, this standard will spread by word-of-mouth (at least outside of Europe). Maybe this is a bit of speculation on my side, but given the globalized economy, it is not unlikely. So why am I making a big fuss about this? This is the first standard that is not only for “internal” use to describe test procedures, sample size, and more. Many companies have probably been doing this internally for several years, but not so openly to their suppliers. Given the different markets, suppliers, buyers, and requirements, there will be a future demand for testing applications that can handle this. Europe is a starting point, and different markets will catch on fast because Europe does not necessarily buy locally. Mathew Clark is an application engineer in the Mechanical Analysis Division of Mentor Graphics, a Siemens Company.